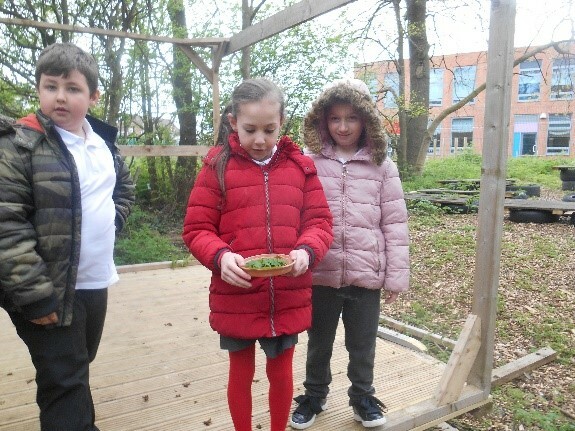 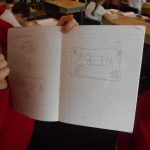 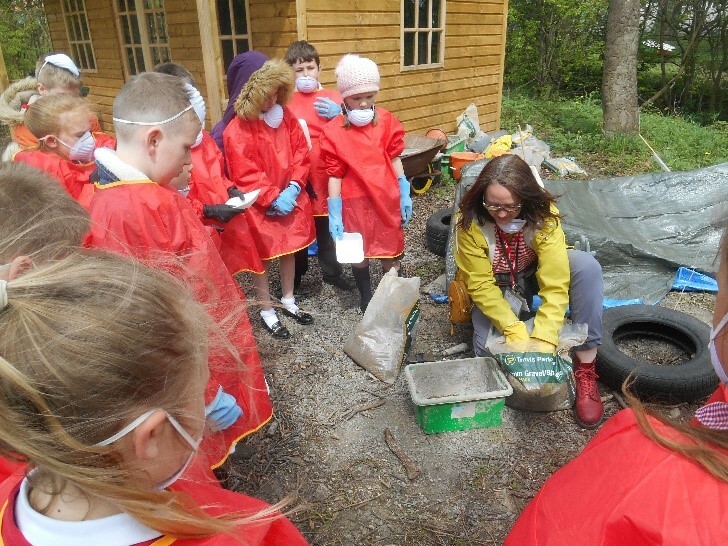 Children in Year 4 are working with the local artist Nicola Lynch to create a Sensory Tunnel. 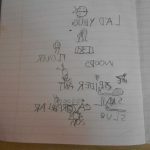 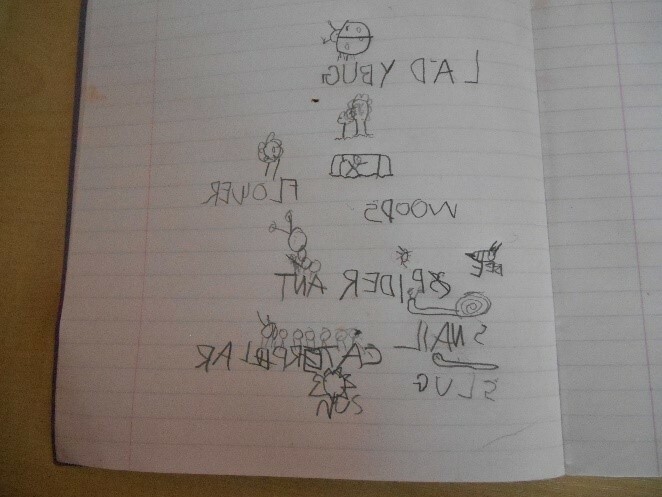 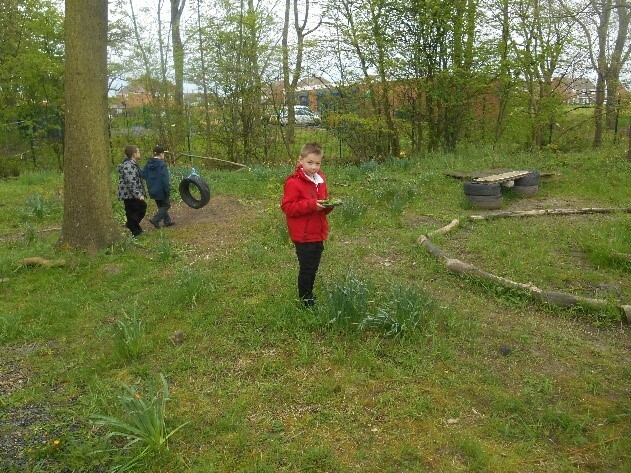 Lead by the artist we discussed possible ideas for the sensory tunnel that we are going to create for the woods. 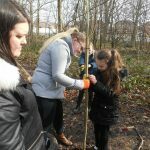 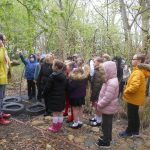 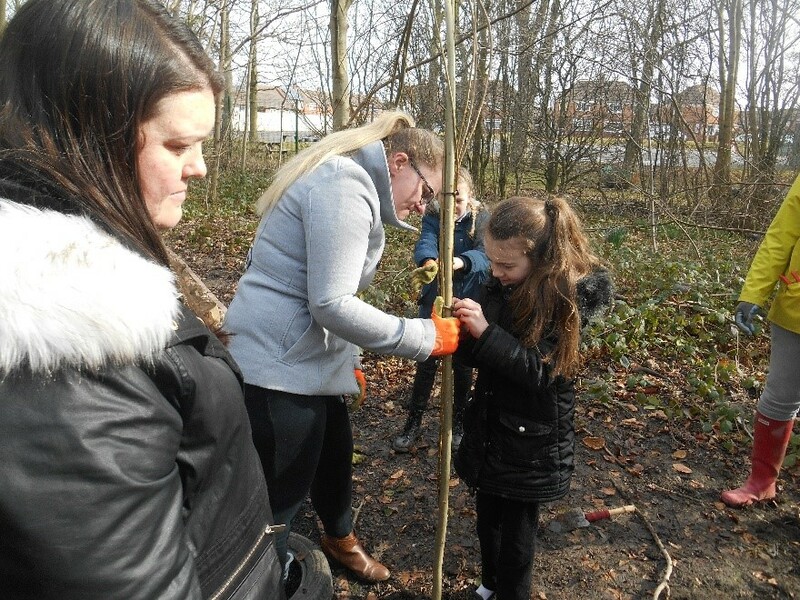 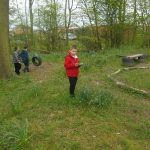 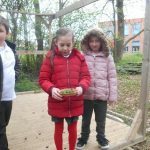 We invited our parents in to help us create the Willow Tunnel. 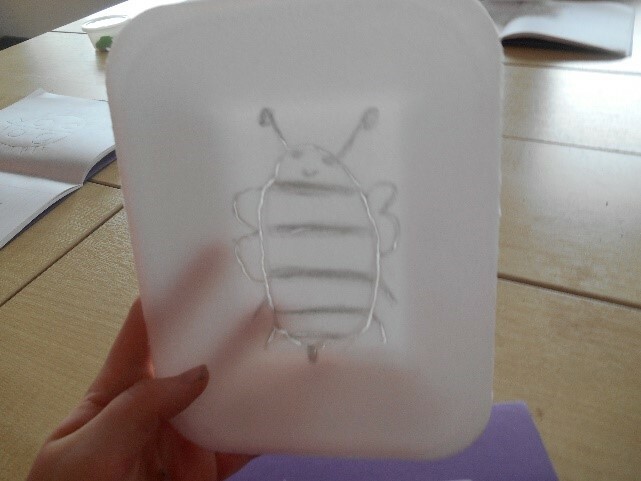 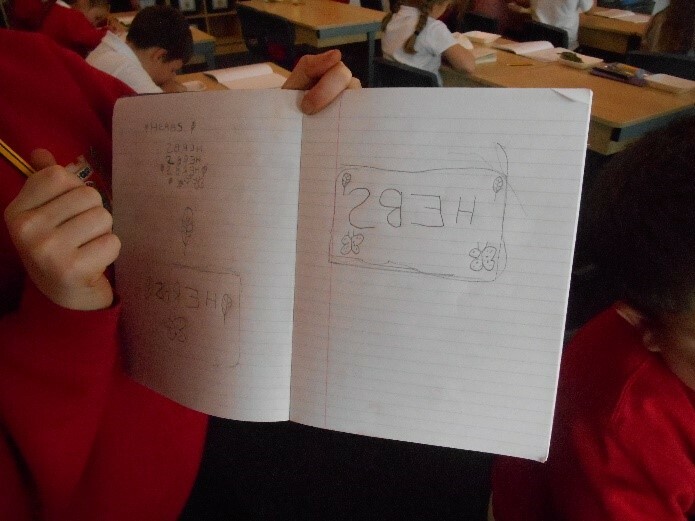 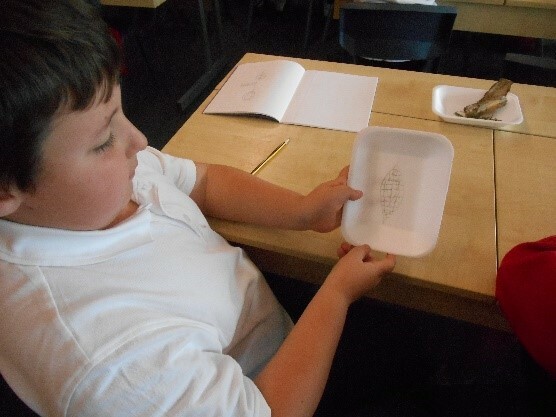 On Wednesday 2nd May we worked with the artist to create the artwork that we will hang in our Sensory Tunnel. 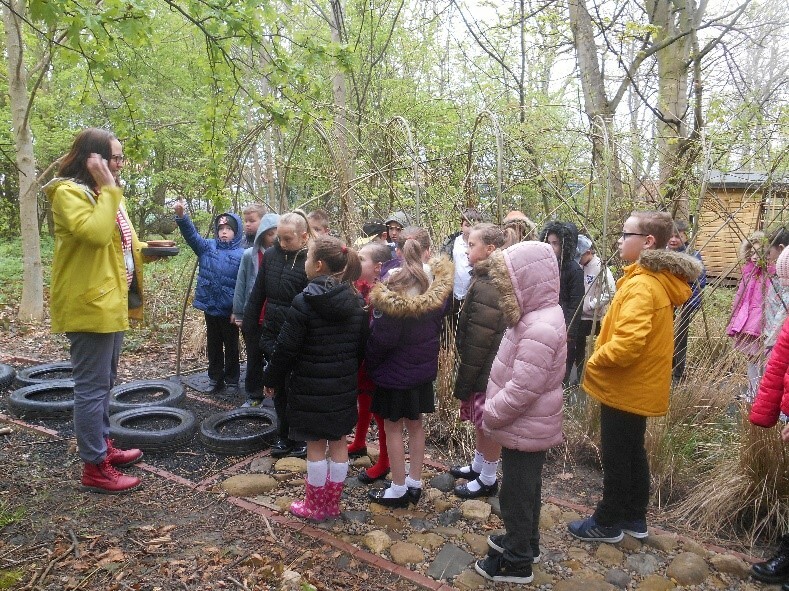 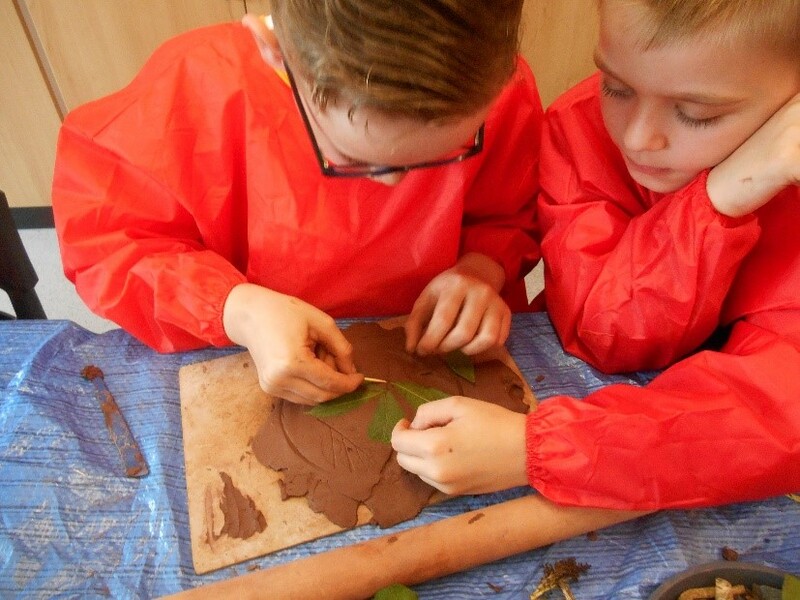 The children searched in the woods for natural resources that they could use later in the day in their clay and concrete casting designs. 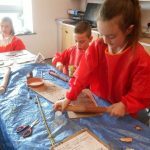 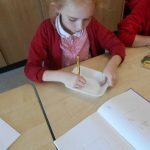 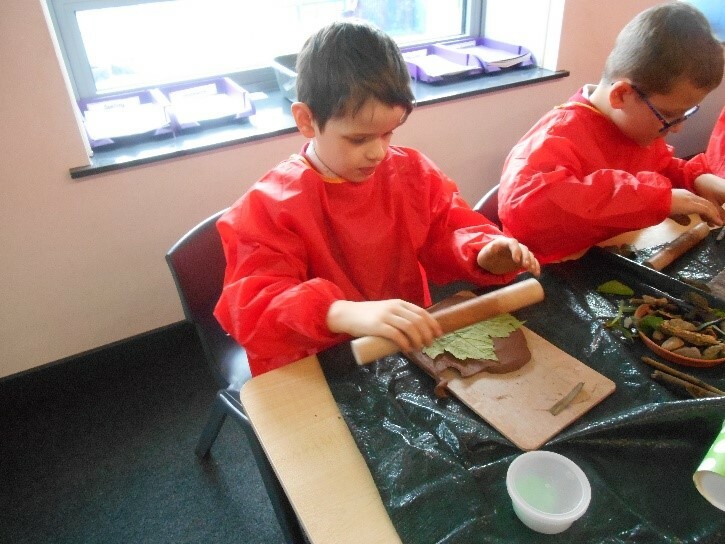 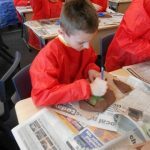 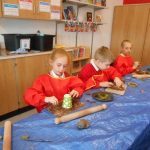 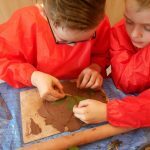 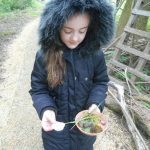 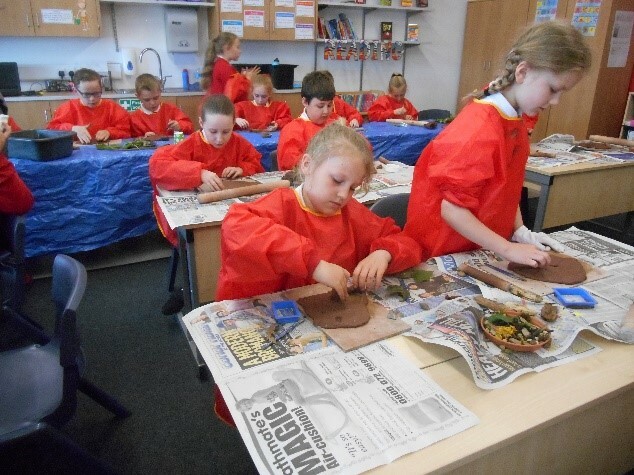 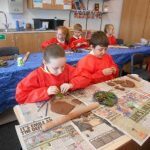 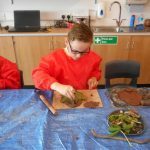 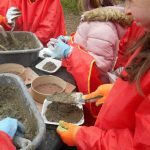 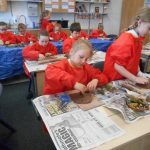 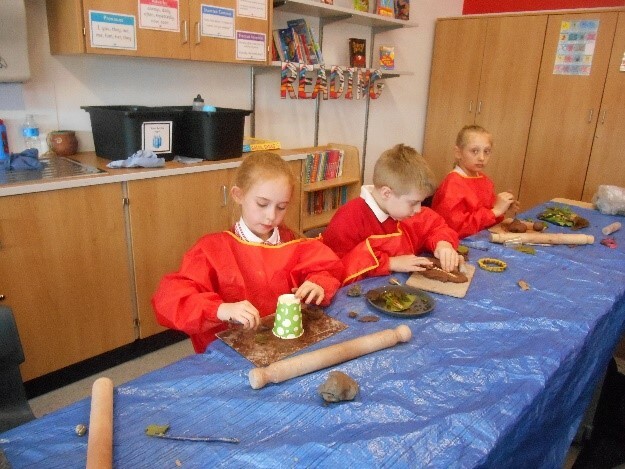 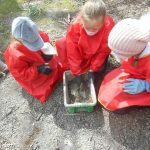 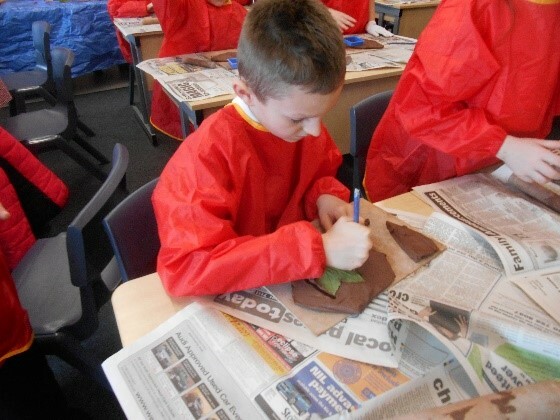 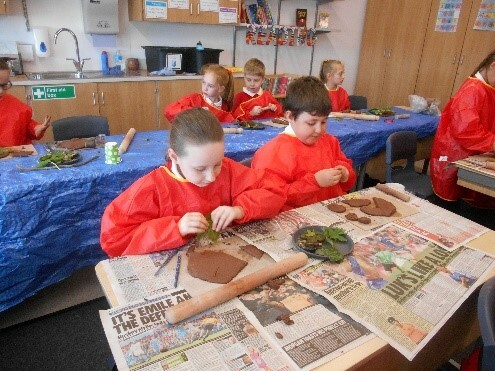 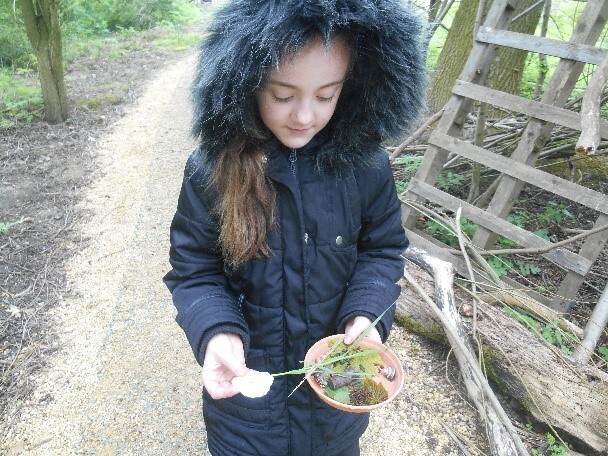 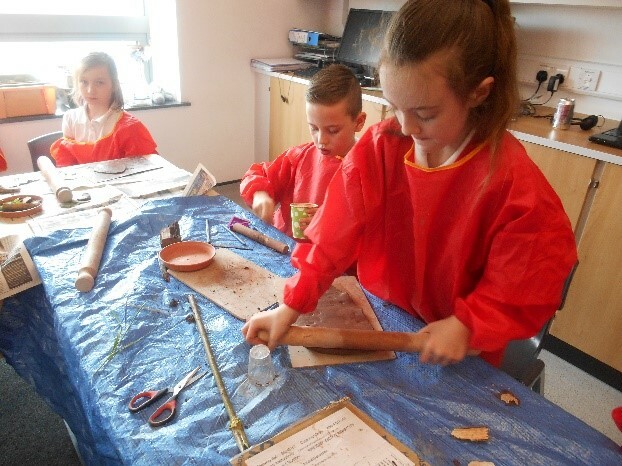 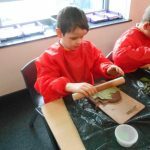 The children used their natural materials to imprint into clay. 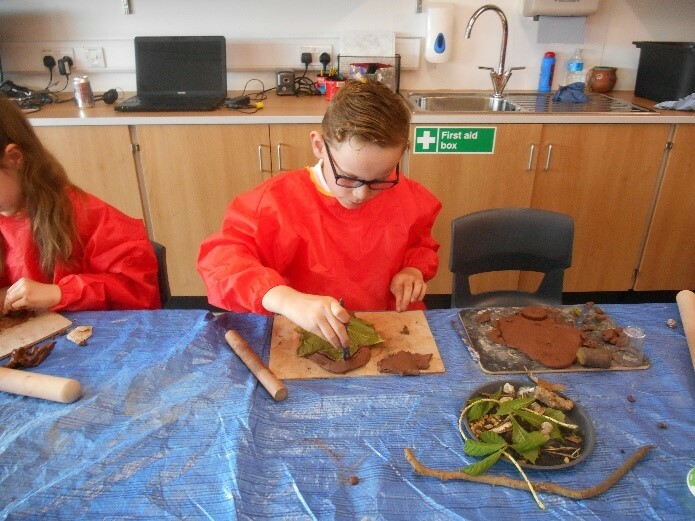 Once dry, the medallions will be hung in the sensory tunnel or cast with concrete and used as stepping stones. 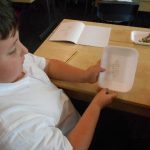 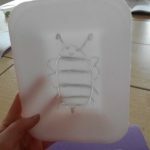 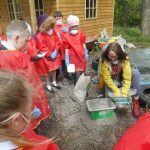 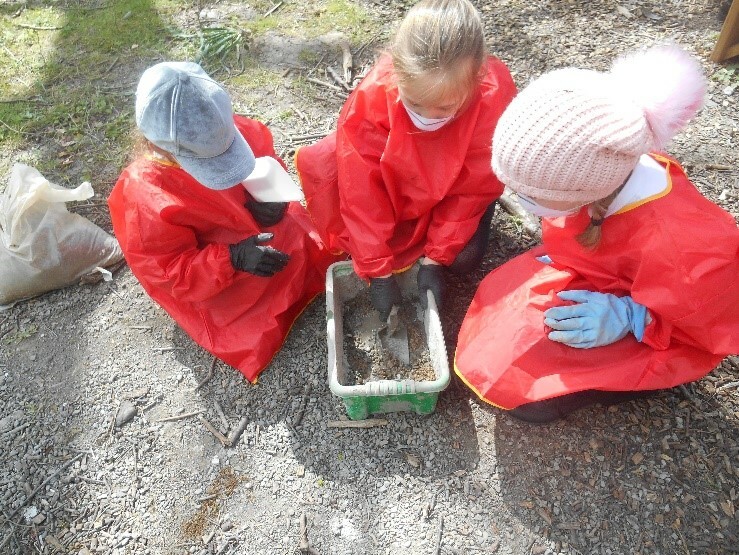 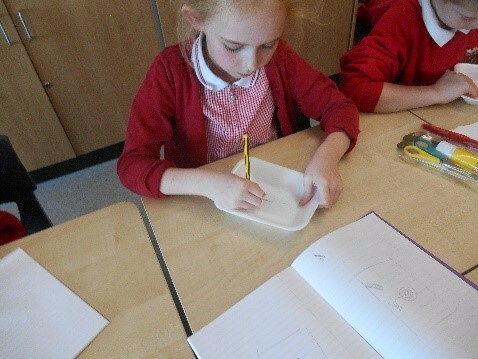 The children created a polystyrene cast with a simple etched out design which they then filled with concrete. 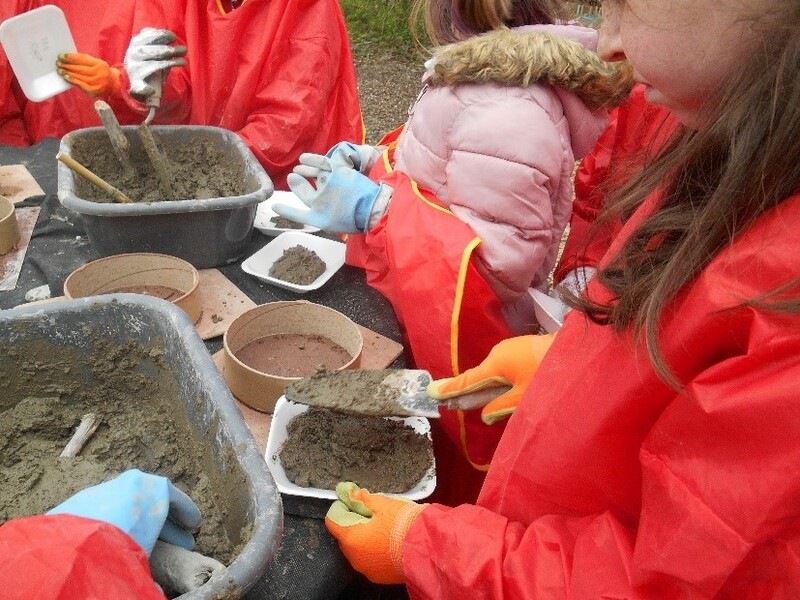 They blocks, once dry, will be used as party of the sensory herb garden.